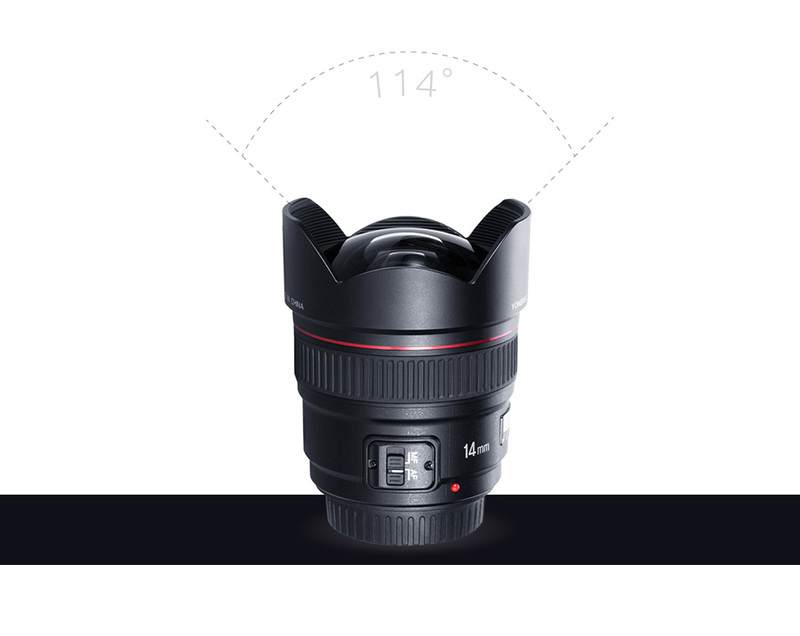 YONGNUO Ultra-wide Angle Prime Lens YN14mm F2.8 with AutoFocus for Canon EF Cameras. The diagonal angle of view is about 114 degrees. 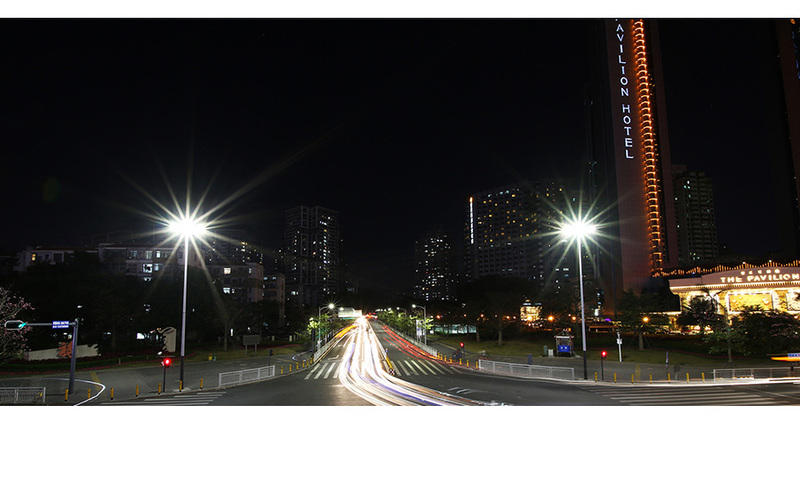 For YN14mm F2.8 helps to collect the vast landscape and giant structures, it's easier to show a grand and solemn atmosphere. 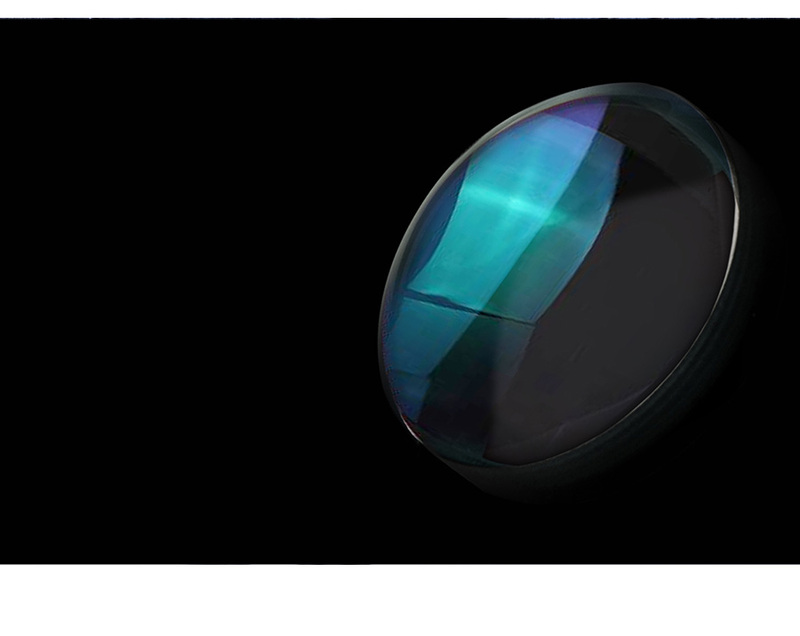 (2) High-precision,Ultra-low Dispersion and Aspherical Lens. 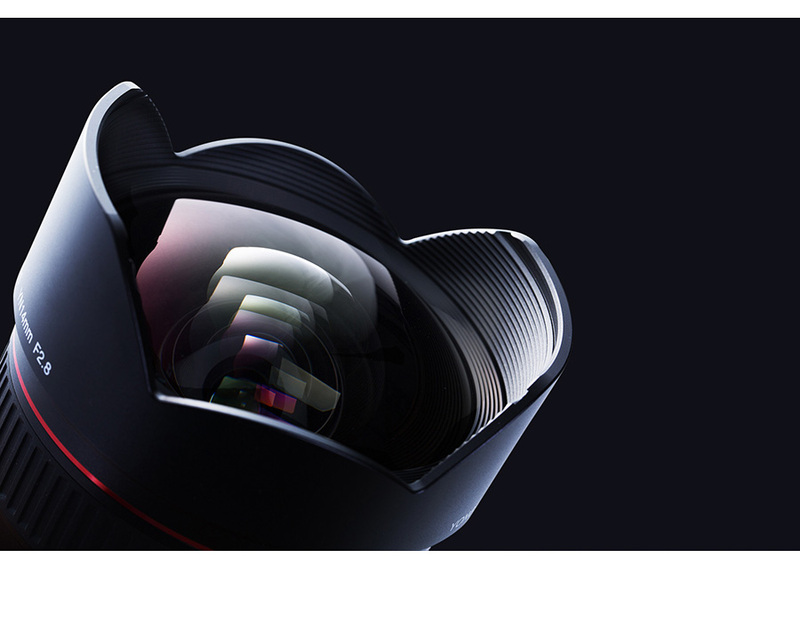 It carries two high-precision aspherical glass lenses, one of which adopts ultra-low dispersion lens, which effectively compensates various optical aberration, minimizes chromatic aberrations, and provides excellent sharpness and color correction. 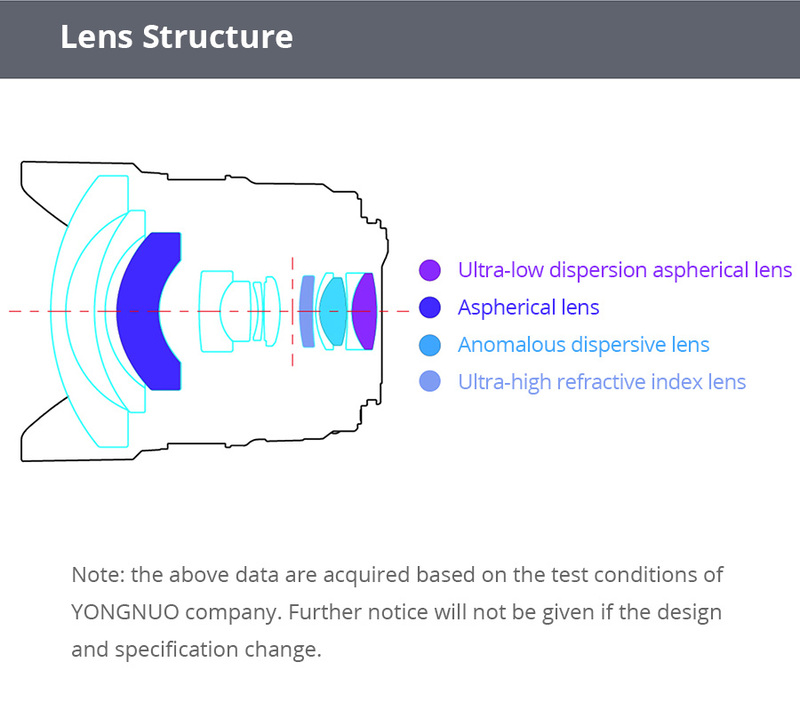 YN14mm 2.8 adopts 1 pcs of abnormal dispersion lens, which helps to better control the dispersion problem from super-wide angle and large aperture, and, helps to improve second order spectrum. It adopts glass optical lens and multilayer coating technology to effectively increase light transmittance and minimize backlight ghost image and glare. 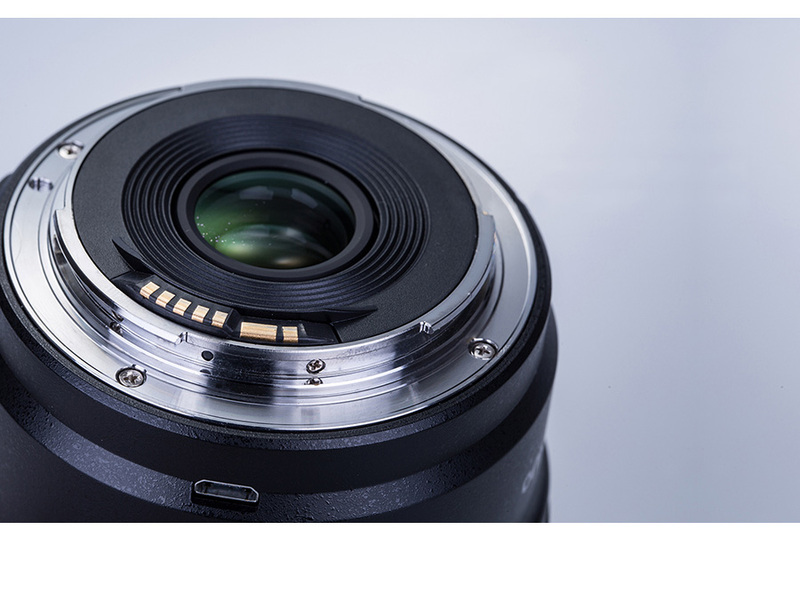 YN14mm F2.8 is equipped with USB port. 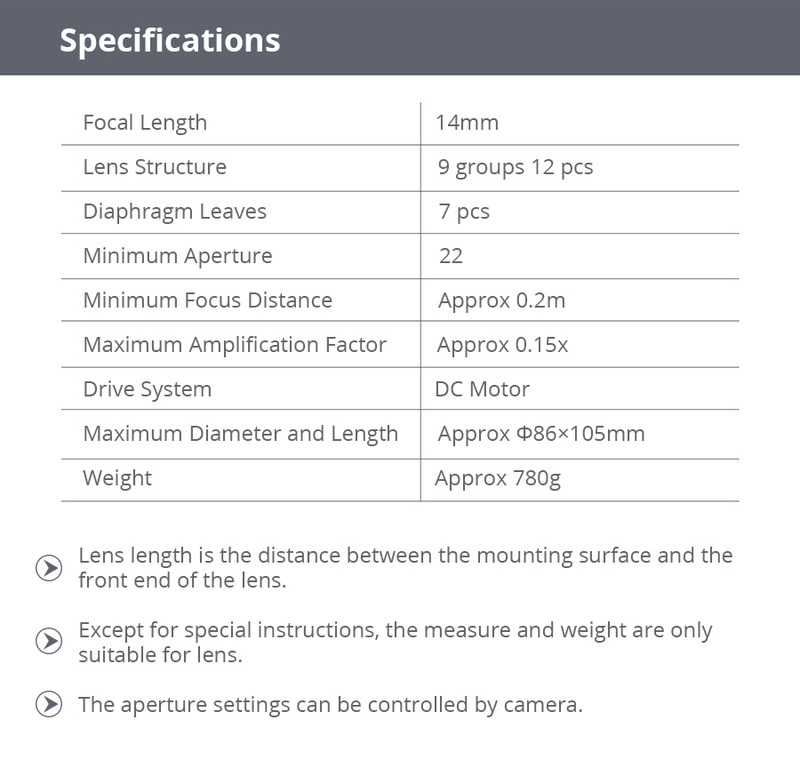 The users can download the latest firmware from the official YONGNUO website and update the lens to keep the best compatibility and performance. 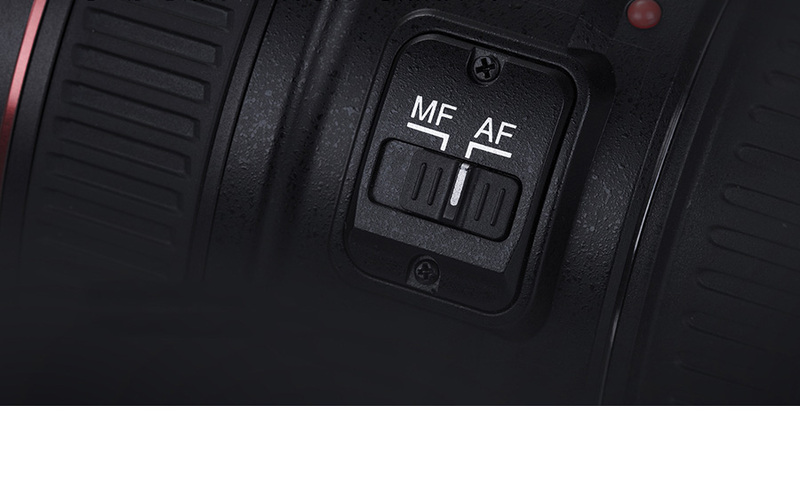 (7) Focus Modes: Auto Focus (AF) and Manual Focus (MF). 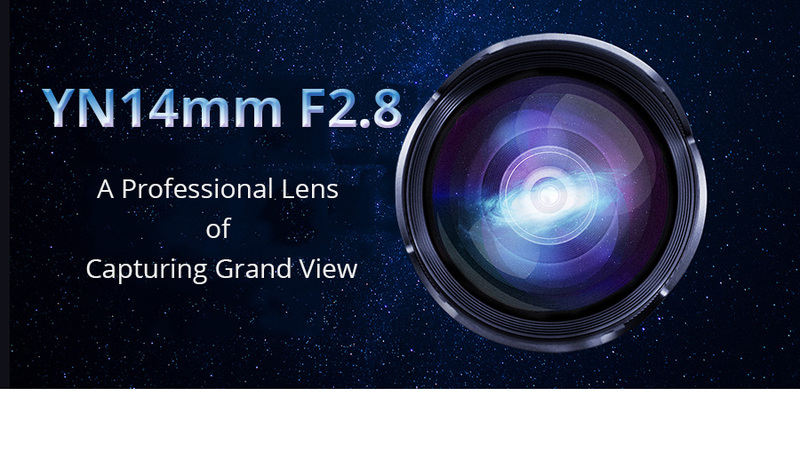 YN14mm F2.8 has 7 pieces of aperture blades, which helps to take picture of circular defocused spots and helps to reduce the aperture and take picture of 14-star effect. 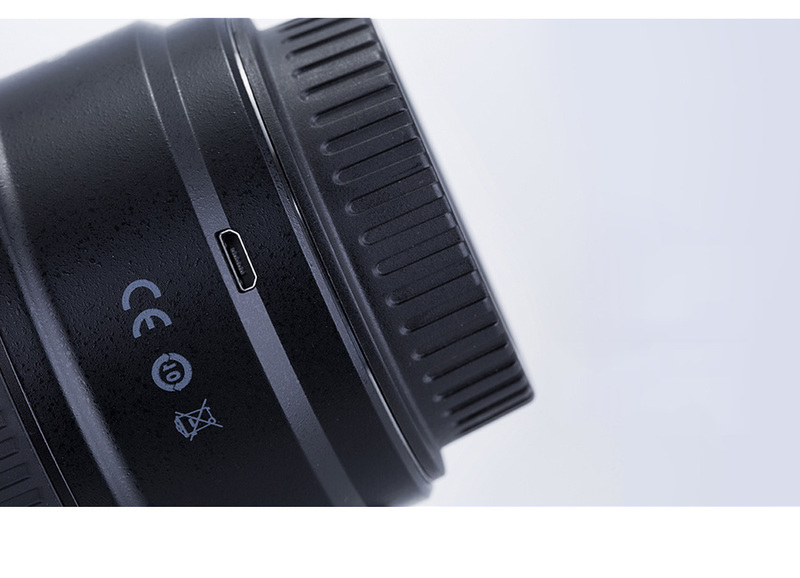 YN14mm F2.8 adopts chrome-plated and high-accuracy metal mount. It's wearable, corrosion-resistant, and highly consistent with the camera. 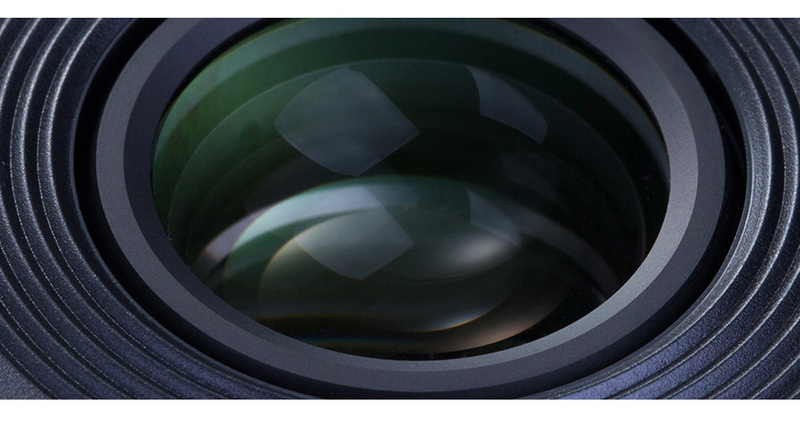 YN14mm F2.8 is equipped with focus distance indicator. 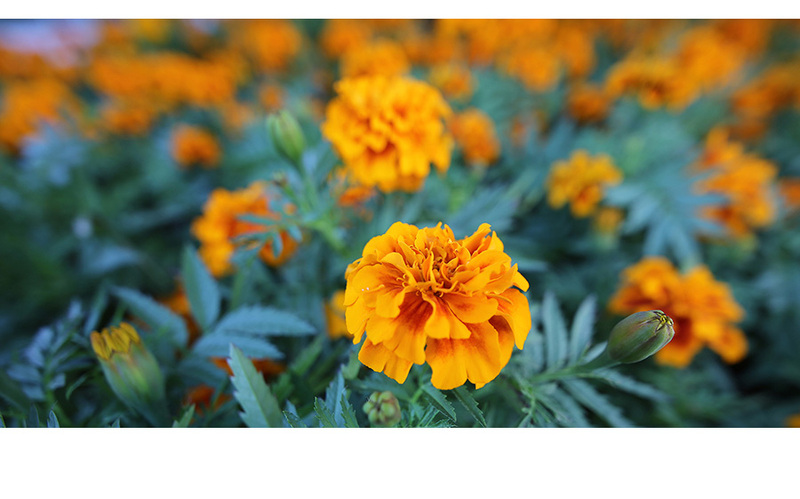 It's convenient for you to judge the distance and the depth of field. The metal contacts adopts gold-plating technology,which brings the advantages of excellent signal transduction ,perfect image quality and new performance breakthroughs.